(All of our web hosting packages already include a domain name registration, so if you were looking for a web hosting and/or email hosting package together with a new domain name, then just head over to read about web hosting). 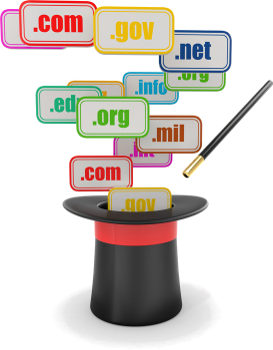 Simba work with a variety of partners to bring you good value domain name registrations. This is our brand-new website, and we’ve not yet put up the nice widgets to allow you to check availability and price up everything automatically. But it’s coming. Once you register a domain name, you can fully manage it within your Simba control panel. In the mean-time just send us a quick message and tell us what you want.